Gough’s on Gough, the first restaurant concept by acclaimed furniture and interior designer Timothy Oulton is celebrating its one year anniversary on Gough Street with a special new British afternoon tea experience. Available from 8th September and exclusively on Saturdays, the new menu introduces Gough’s on Gough’s modern take on a classic slice of British heritage. 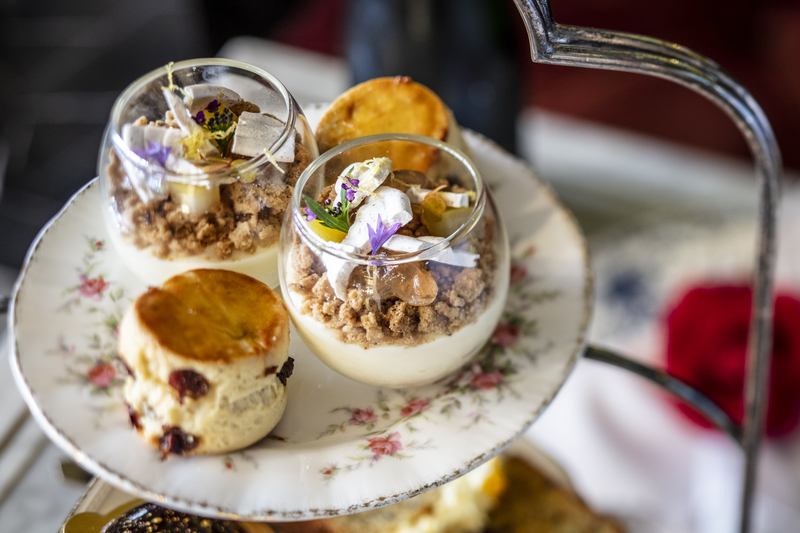 The new afternoon tea menu presents a fabulous selection of savouries and sweets enjoyed with tea of coffee, and served on beautiful vintage china hand-picked from the UK. Starting with classic finger sandwiches, nibble on Poached Chicken & Tarragon Mayonnaise, Beef & Whole Grain Mustard and Smoked Scottish Salmon with Crème Fraiche & Cucumber sandwiches. A long-standing staple of afternoon tea, the Homemade Raisin Scones arrive warm and buttery, served with clotted cream and homemade jam. Finally, indulge your sweet tooth with the selection of shared desserts, which include Lemon & Mascarpone Mousse, Chocolate & Orange Dome Cake and Carrot Cake with Butter Cream. Priced at HK$ 248 + 10% per person or HK$488+10% per 2 people. For an additional HK$ 138, guests can also enjoy a glass of Louis Roederer Brut Premier NV or Louis Roederer Brut Rose 2012 for an additional HK$ 168 per glass.